There are two ways I am willing to entertain for measuring current. One is via a current transformer and the other vial hall effect. I combed the web to look for affordable devices in North America. It seems that Europe has access to cheaper current transformers. I ended purchasing three (3) current transformers and two(2) hall effect chips. I ordered on-line via Digi-Key and found to have an excellent customer experience. 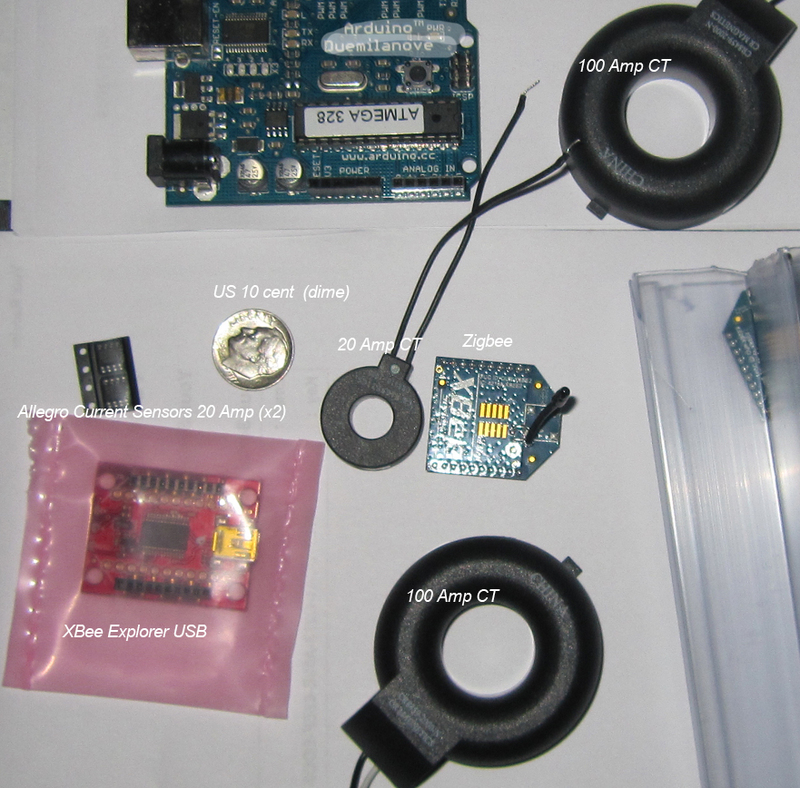 I opted for one stop shopping for other goodies such as zigbee chips and other odds and ends. I also wanted something Canada friendly so I picked a place that operates in both Canada and US. I entertained the idea of spit-core transformers to facilitate wrapping around the wire. I could not find some at a cheap rate and figured some higher quality ones could be used for permanent installation. I’ve done enough wiring to feel comfortable inside the panel box. I would not recommend venturing in high voltage areas without a good understanding what can harm you. Get an electrician to wire those if you have any doubts. I have a bunch of AC transformers lying around so I plan on using those to measure the AC voltage. 120:10 volts p-p will do as that is all I have in stock. I entertained the idea of using a multi-tasking OS such as The FreeRTOS Project and finding a board to host it. The KISS principle forced me to focus on deploying hardware to perform specific tasks and avoid creeping elegance. I only want a device that at will feed into the mesh network. No sense over engineering things. I can use the FreeRTOS for a data concentrator later on. There were many choices out there e.g. PIC and Micromint. I opted for simplicity and went with the Arduino Duemilanove. I purchased my Aduino from spikenzielabs along with the following to help me get ball going. Time to plug things in and see what happens.